Many Christian writers don’t realize there are several kinds of editors. Some editors acquire books at publishing houses (Aquisition Editors), some assess the literary merits of a manuscript and help authors improve it (Developmental Editors), and then there are the nuts and bolts Copy Editors. When writers think of editing they usually think of copy editing. The best of this type of editor provides insight into the structural elements that can be changed to add clarity to book. Yes, they have a laundry list of spelling, grammar and punctuation to check also, but good editors take a holistic approach. Sadly, most newer self-published writers don’t realize that proofreaders are not editors. They think they should have a proofreader do a “final edit” not realizing that could be disastrous. Professional editors know the difference between the function of an editor and proofreader (correcting proofs using proofreading marks) and do not claim to do both. Does every author need an editor? Based upon my 30 years plus of experience as an author, editor and writing mentor, I’d say, “Yes.” Writers get so close to their work that they are blind to the flaws in it. Those flaws may deal with the structure or with the clarity of expression. A skilled independent editor offers an objective perspective that writers cannot get from friends or relatives. Your theology may dictate whether you hire an editor or not. If you are into predestination you’ll believe that the success of your book is in God’s hands and editing won’t make a difference. If you believe in free will, you’ll hire an editor because you know God uses “means” to accomplish his purposes. God’s people, including editors, take action to carry out God’s purposes. Theology may not enter your thinking. It may be about your budget. 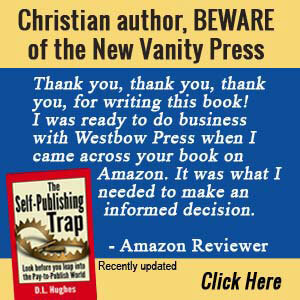 Many Christian writers make the mistake of thinking they can write and publish a book on a shoestring. They beg for free services on places like Facebook pages rather than create a reasonable budget before they start writing. Too many Christian authors are churning out inferior books because they refuse to pay for professional services. Can You Edit Your Book Yourself? As I mentioned, there are two major facets to editing. One is reviewing the structure of the book, its pacing, clarity, and completeness. With novels, that includes accessing character development. Most authors usually cannot do this kind of editing. They fall in love with their own writing and are blind to the flaws. They simply do not have the detachment required to evaluate their own work. Yes, most new authors quickly learn they cannot do the first draft and leave it at that. The first draft of any book is always called a “rough draft.” An author completes the first draft as rapidly as possible without stopping to do any editing at all. After the first draft is complete an author can shift anything around and add and delete material. That process is called revision, not editing. 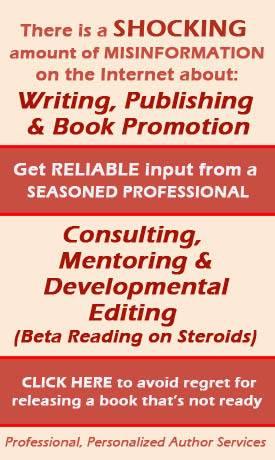 You then provide your best and final revision (draft) to a professional editor. When you do your waves of revision, you want to do fact-checking. That is important to all Christian writers. They want to make accurate statements and to document them properly when needed. One important part of fact-checking is making sure Bible references are accurate if you use them in your manuscript. Here are 10 things you can review as part of your own copy editing process. 1. Use a style guide so your editing conforms to a set standard. Don’t rely on what you learned in high school or college. Things have changed. I use the Associated Press Stylebook since it reinforces a fresh, contemporary writing style that readers love. 2. Cut long sentences into multiple sentences. Modern readers prefer sentences that are not longer than about 25-30 words. 3. Cut long paragraphs into multiple paragraphs. In the 19th century, paragraphs sometimes ran several pages. Today, such paragraphs are a “wall of type” which form are a barrier between author and readers. For modern readers, 10-12 sentences in a paragraph may be too many. 4. Delete adverbs. The bad adverbs end with “ly.” There are also action adverbs, but they are not usually a concern when not overused. Your ideas and words will flow better without “ly” adverbs in almost all cases. 5. Reduce prepositions. A preposition is a word or phrase that connects a noun or pronoun to a verb or adjective. So, you are looking to eliminate “at,” “by,” “with,” “for,” “from,” and “in regard to” whenever you can. Worried about prepositions appearing at the end of a sentence? That’s a prohibition from the 17th century and is no longer relevant even though some grammarians continue to whip that dead horse. In English, ending a sentence with a preposition is sometimes your best word and grammar choice. 6. Delete all the junk words and phrases. They include “that,” “very,” “really, “in order to,” “there is,” and “there are.” Start your own list of superfluous words and phrases and cut them all from your manuscript. You will probably not be able to get rid of all instances of passive voice but eliminate as many as possible. 8. Eliminate exclamation marks. If your words and action convey emotion as they should, exclamation points are unnecessary. 9. Use contractions. “Write as you speak” is good advice. We speak to each other using contractions so it’s a familiar form to readers. It helps eliminate a stilted tone. 10. Be aware of your word choices as you revise your manuscript. Mark Twain told writers, “The difference between the almost right word and the right word is really a large matter. It’s the difference between the lightning-bug and the lightning.” Professional editors are always weighing word choice and you should do it too. If you think God has called you to write, then he has called you to get competent editing too. There are too many Christian books available that reflect poorly on Christ and people of faith. Most could be far better if they were professionally edited. There is no such thing as a perfectly edited manuscript. Mainline New York publishing houses pay $25,000 or more for top-line book editing, yet it is easy to find errors in most of them. Nevertheless, Christian writers need to lift their editing game. Authors can get competent copy editing for a few cents per word. You can and should edit your own book along the lines I have suggested. But you also must budget enough money for a competent editor. So it is with an unedited book. Previous story Should Christian Writers Wait for Inspiration?